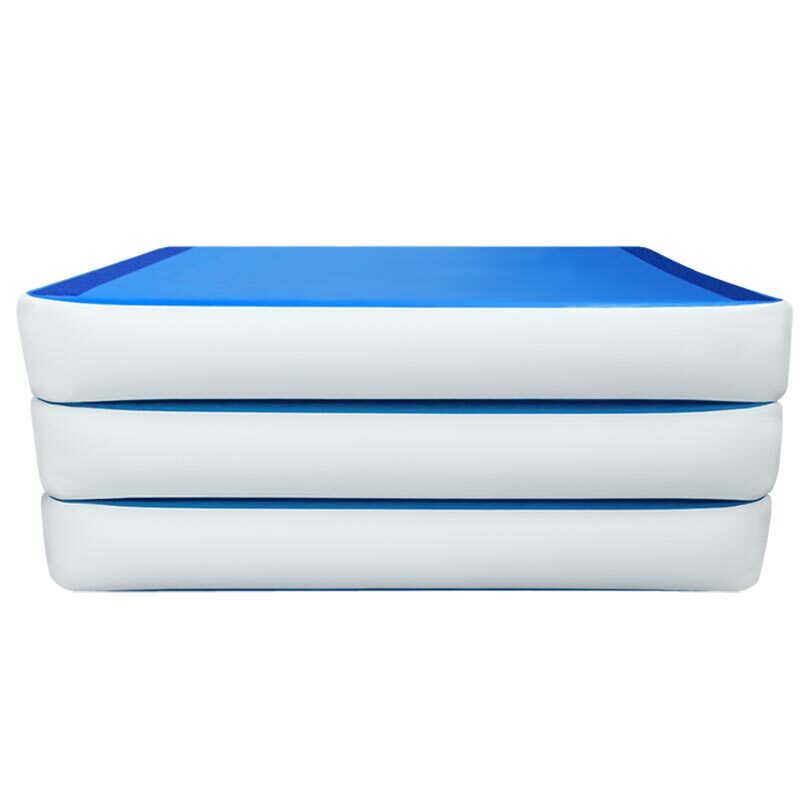 The AirTrack Airbox Set consists of 3 AirTracks of 30cm high. 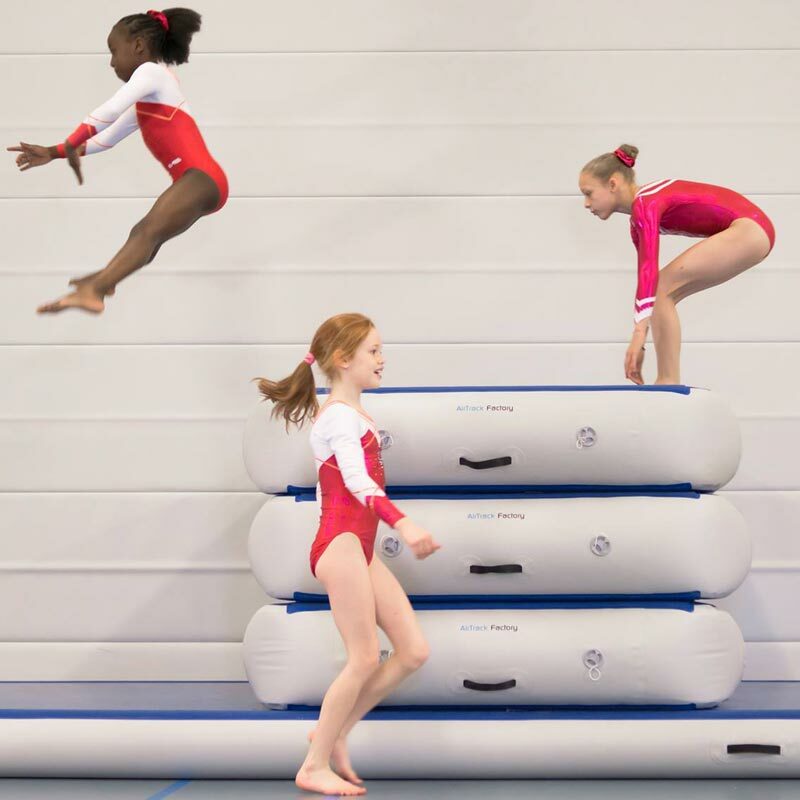 The AirBox is the perfect replacement for multiple pieces of gymnastic equipment, including a vault box, catching and landing mats and the Pegasus. It consists of 3 AirTracks that are 30cm high and can be installed easily within two minutes. Because of the easily adjusted pressure, children can learn the Pegasus jumps without fear. The AirBox is installed within 2 minutes. Adjusting the height of the AirBox or the pressure of the individual mats is just a matter of seconds. The Airbox fits perfectly on our AirTrack P2 or AirTrack P3 but can also be used as stand alone equipment. The AirBox can be placed on any floor. Easily portable from gym to gym.